Disco balls are back! (But then again, did they every really go out of style?) 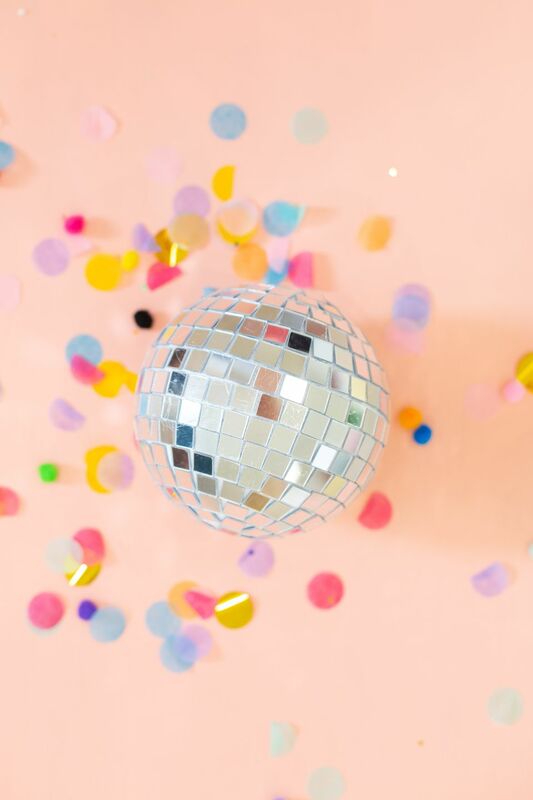 These sparkly icons aren't just a must for a dance party—they're also a fun, unexpected conversation piece to have around your home as decor. 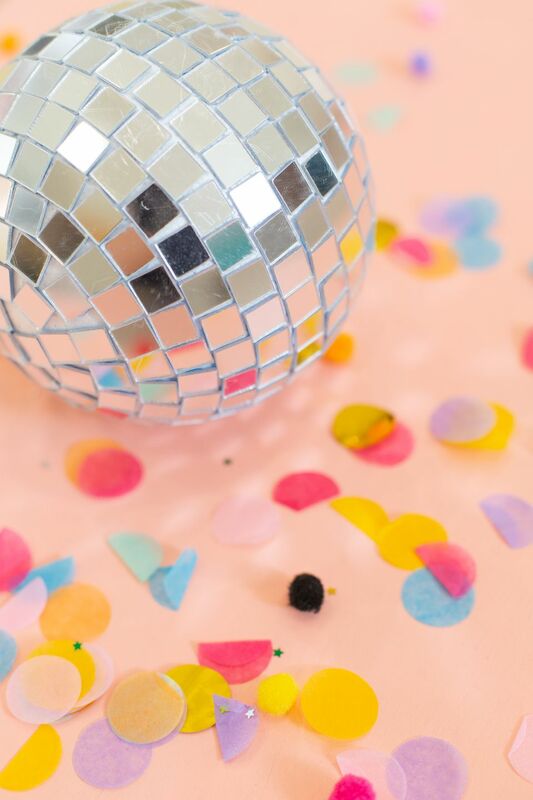 Make your own disco ball in any size you like and you can feature it on a shelf, on a coffee table, or hang it from your ceiling. And when the sun hits it just right, you'll have lights dancing all over your home. Let's make one! Start by gathering your materials. As you plan for creating your disco ball, consider the size that you'd like. You can find materials from very tiny to larger than a basketball, so plan ahead and know your space to choose the right size. You'll also need to be sure you have enough mirrors to cover the entire ball; the larger the ball the more mirrors you'll need. Start by inserting a hook into the top of your disco ball, if desired. If you do not plan to hang your disco ball, we suggest you skip this step. If you plan on hanging it, carefully screw your hook into the top of your ball until it is tight. If it feels supportive and tight, proceed to the next step. If you'd like some extra security for the hook, unscrew it, add a few drops of E6000 or a similar adhesive into the hole, and screw the hook in again. Start adding mirrors. Place a small dot of low-temp hot glue on the back of each mirror and apply the mirrors, beginning at the top near the hook. For the first row, you'll just have four mirrors in an X pattern. For the next row, begin shaping it into a loop that encircles the ball. In the initial rows, you should expect to have some gaps in between your mirror tiles. This is a non-issue if your ball is white, as once it's covered entirely the gaps will be camouflaged. Continue adding mirrors in the same manner, creating row after row. If you find that your glue gun is leaving glue strings, you can leave them until the end and then buff them off with a soft towel. If you finish a row and have a gap that's not large enough for an entire tile, but you'd like to fill it in, you can use scissors or wire cutters to snip a mirror tile in half and glue it into the gap. If the top of your disco ball bothers you, you could also fill in those gaps in a similar manner. Continue in the same way until all of your disco ball is completely covered with the mirror tiles. Display it and party! If you place your disco ball in an area where the sun will hit it once a day, you'll be treated to a sparkly light show in your home. Have fun!